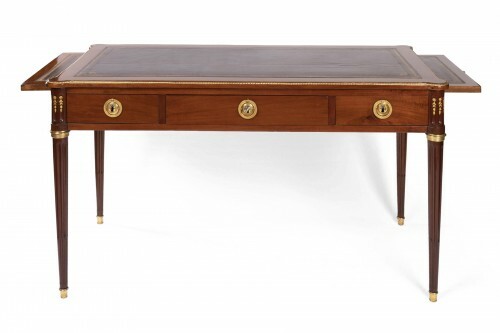 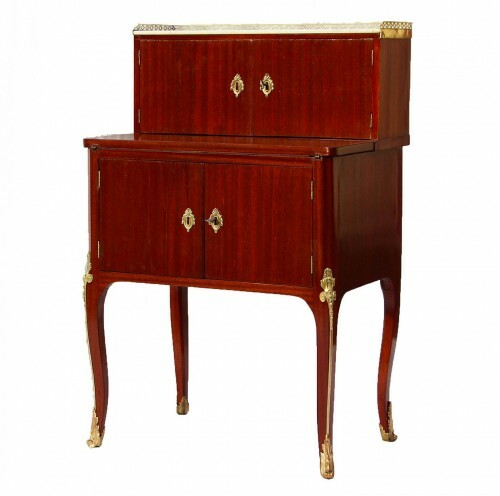 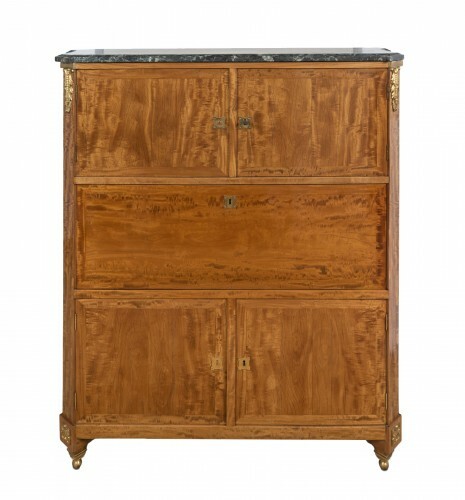 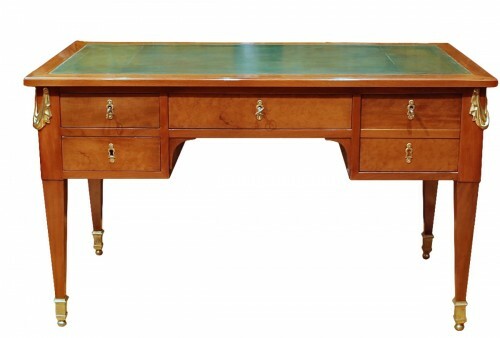 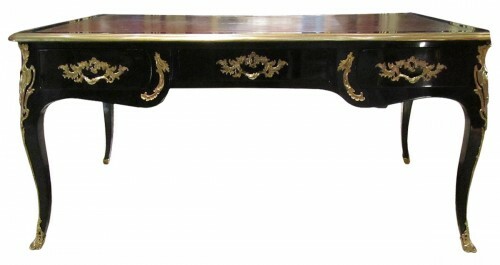 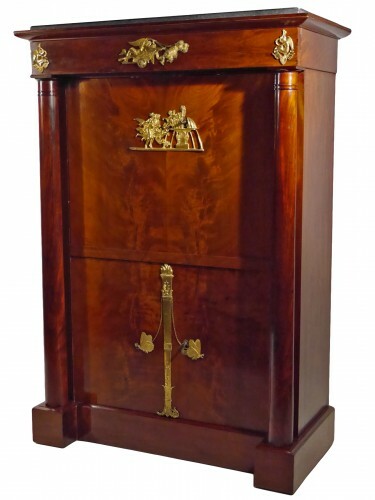 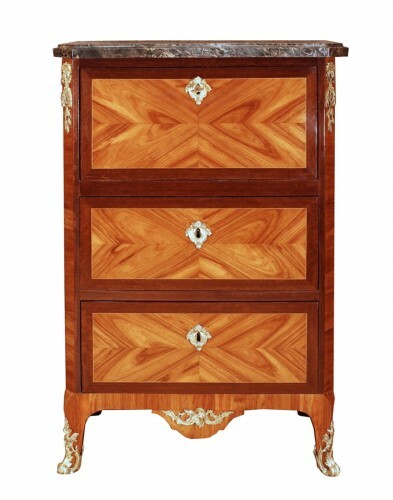 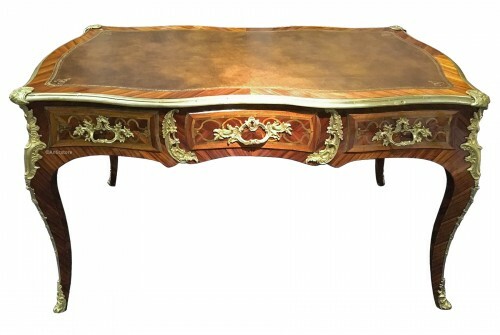 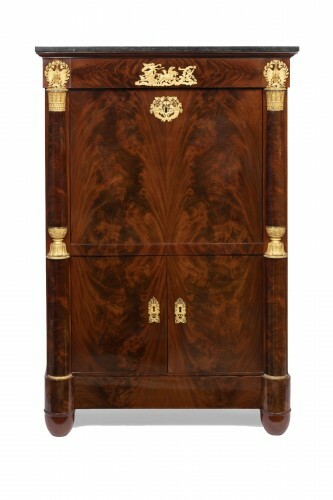 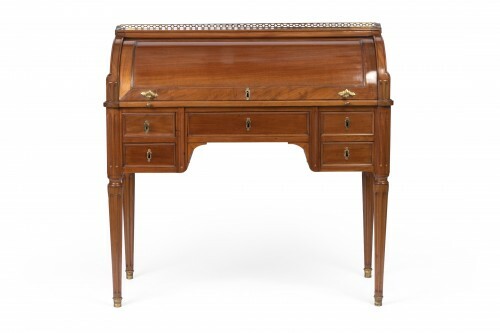 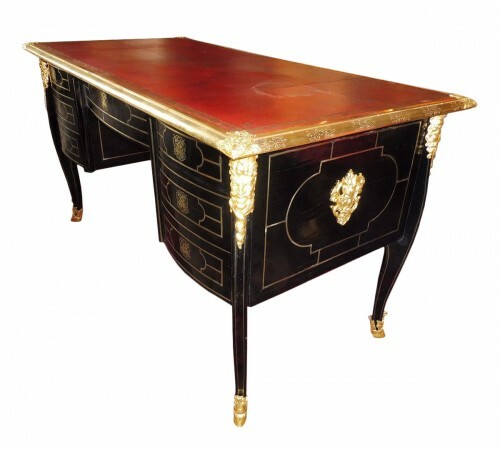 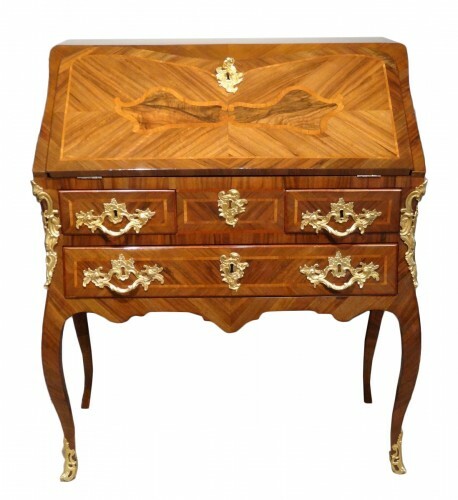 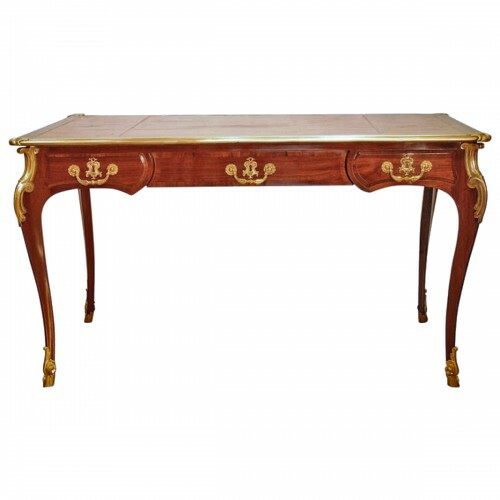 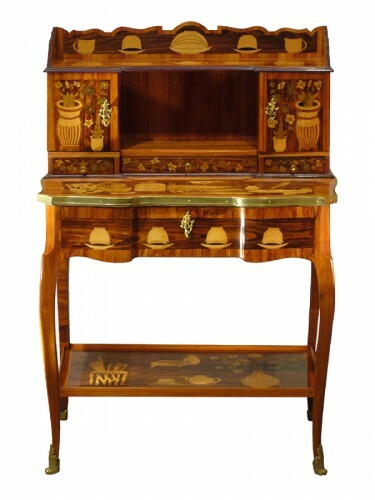 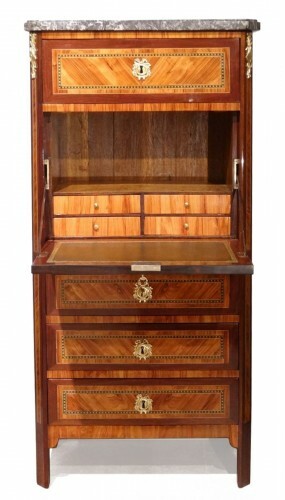 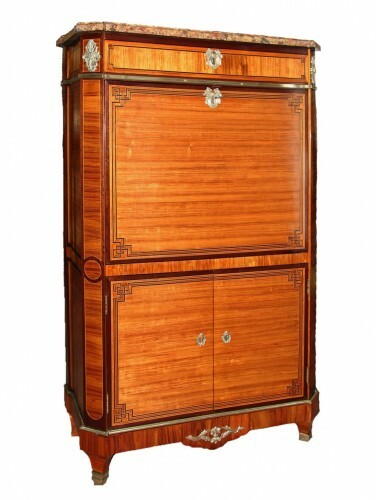 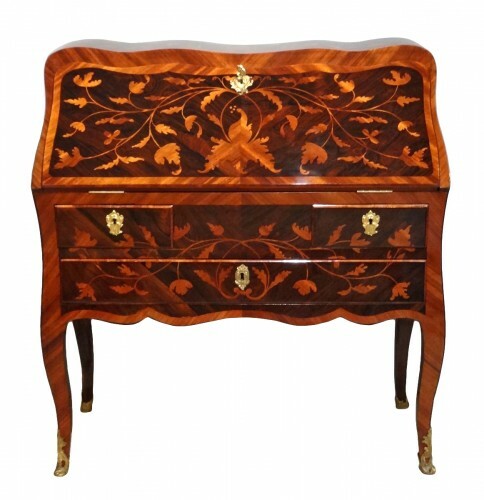 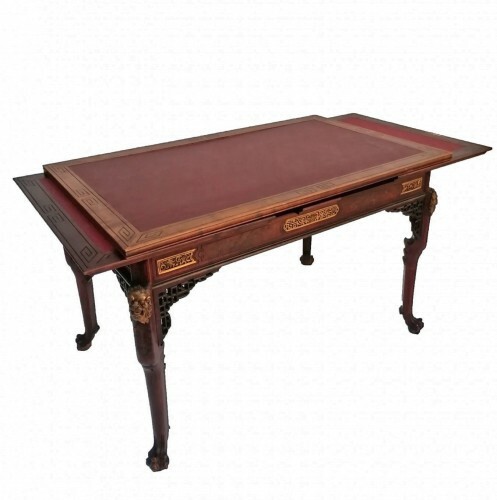 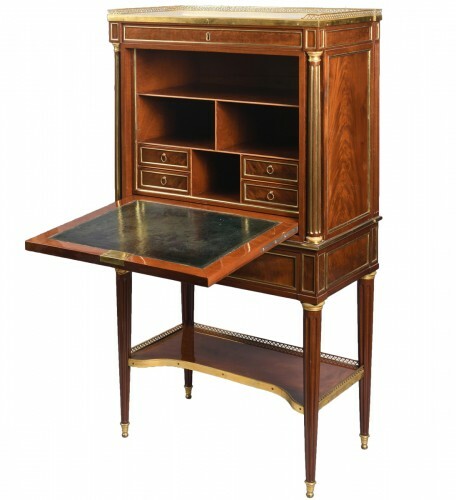 The desk and secretaire reflect major developments in the various styles and epochs. 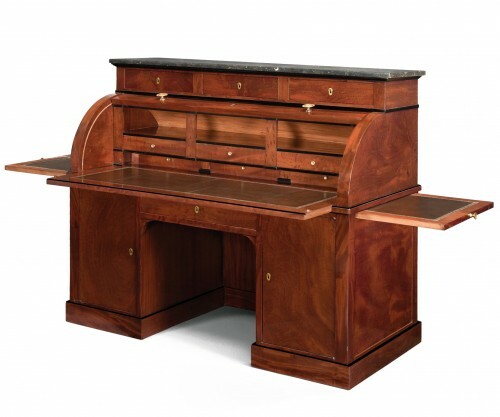 During the Middle Ages, chests became the first desks. 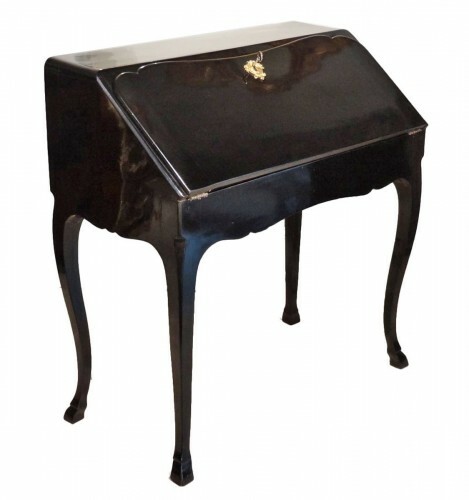 The Gothic period, whose style was strongly marked by a religious influence, saw the emergence of the lectern, a piece of church furniture on which someone could write while standing up. 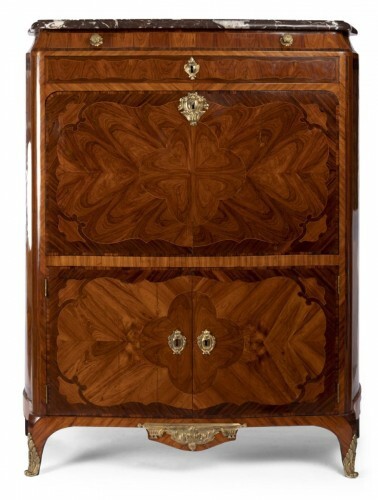 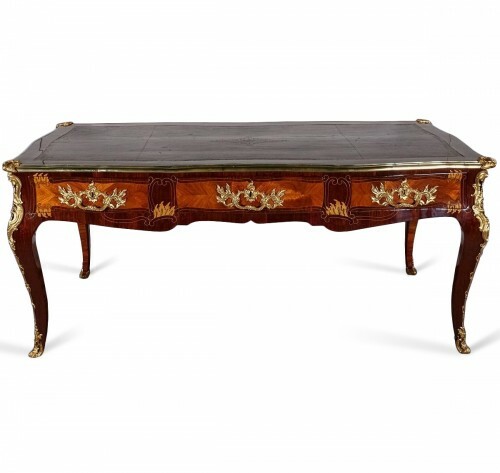 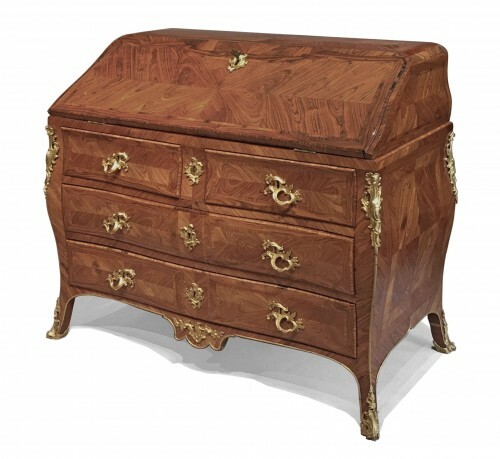 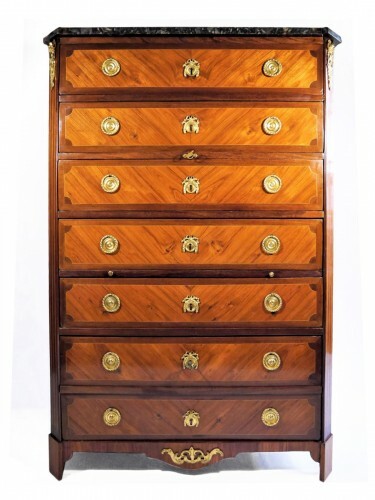 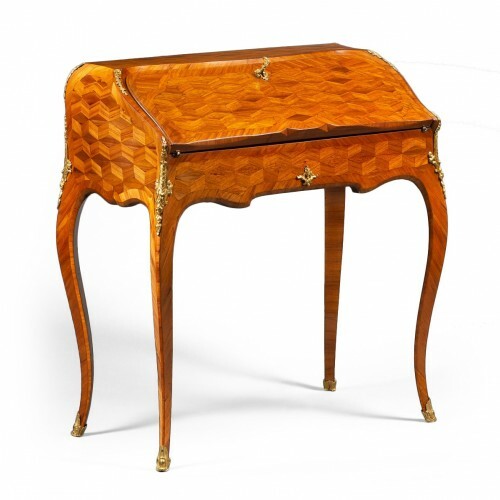 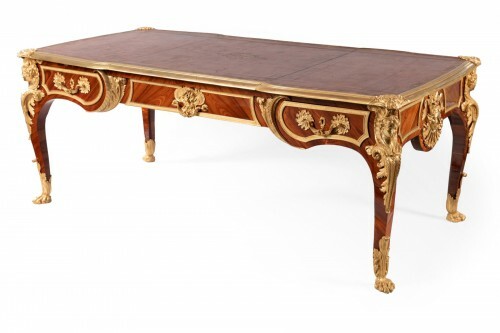 During the Louis XIII period, the desk became a combination of a table and a cabinet: it had four knob legs (en chapelet), connected via an H-shaped crosspiece. 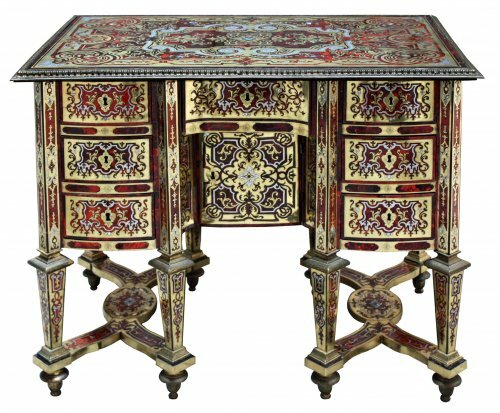 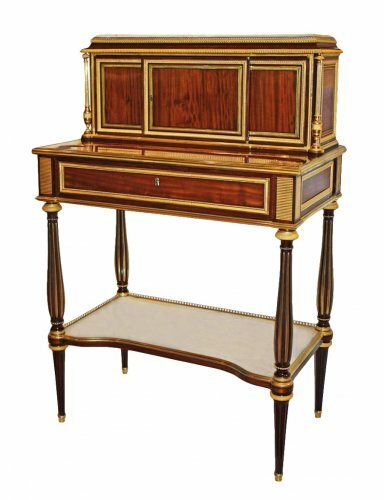 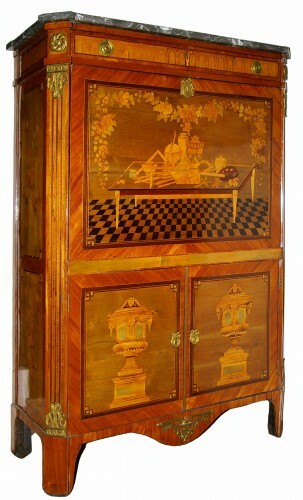 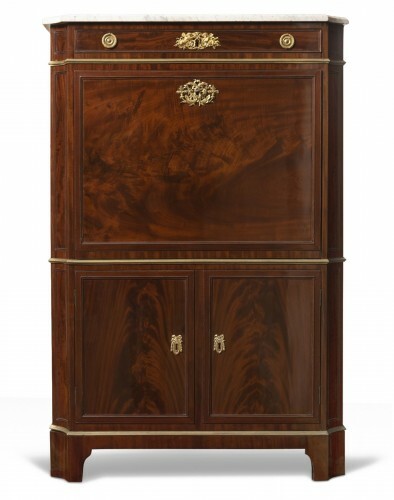 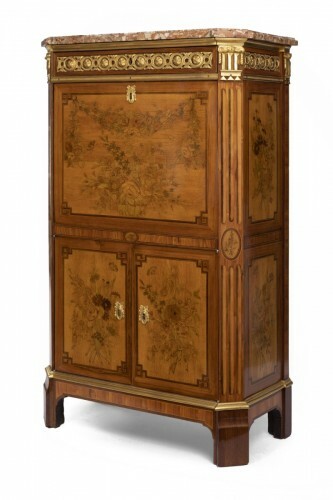 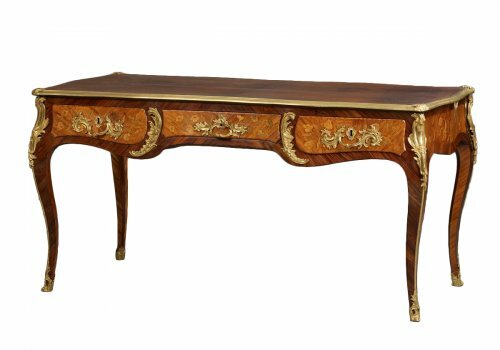 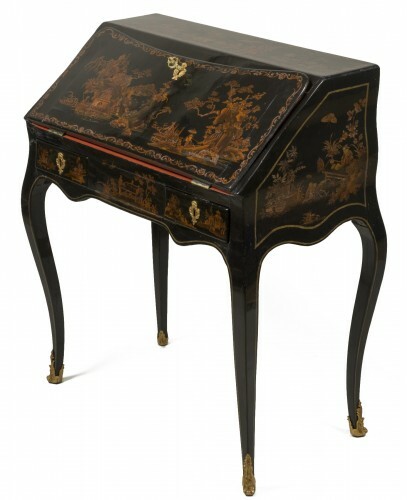 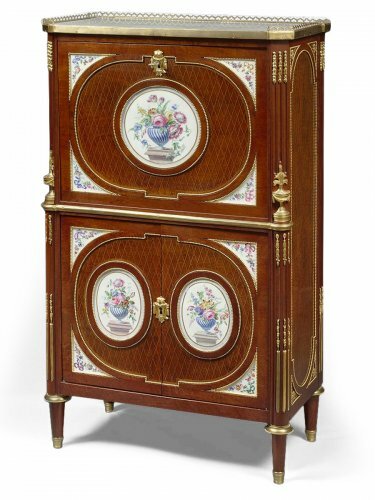 Initially solid, the desk and secretaire gradually became more refined and were enhanced with lavish decorations: marquetry, precious wood veneer, and finely gilded and crafted bronze elements. 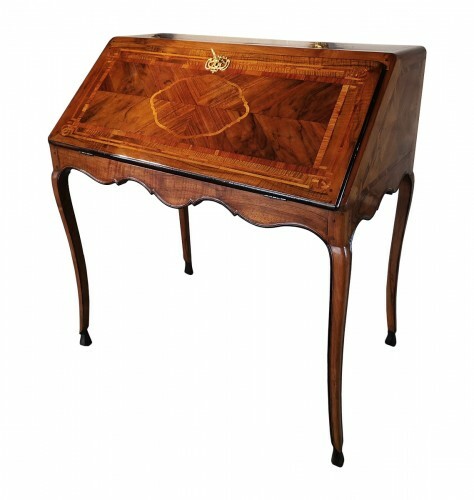 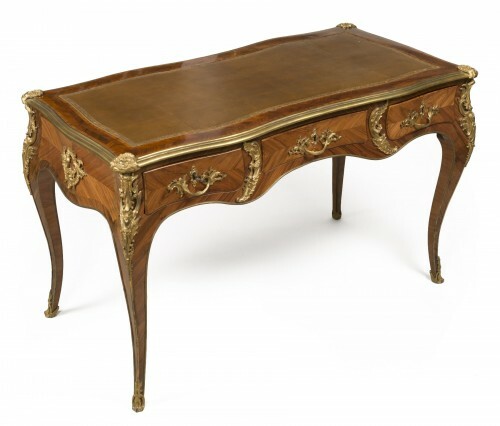 There are flat-top writing desks, pedestal desks, the bureau Mazarin, roll-top desks, fall-front desks, the bureau à gradin or tiered writing desk, and so on. 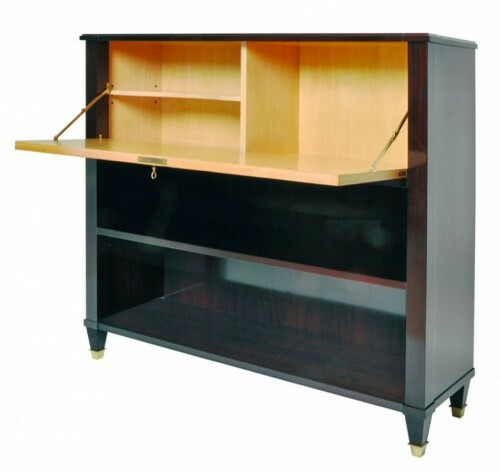 There are various forms and the mechanisms have been perfected to provide optimal writing comfort and storage space.